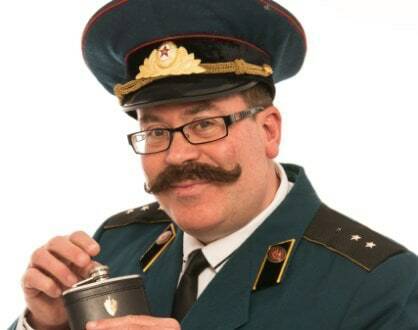 Meet Boris Nicoli, ex KGB agent, he will be your host for an evening of laughter at the Old Wulfs Beer Festival. Get in early for a seat and enjoy a night of three, YES THREE (!) comedy acts. Boris will host and boggle your minds for the evening with his unique comedy! We will be stocking up on the vodka for this one! After the Cold War finished , what else could he do but join the entertainment biz. A comedian from West Bromwich has won this year’s Funniest Joke of the Fringe Award, hosted by TV network Dave. Stand-up comic Masai Graham has bagged the annual award, joining the ranks of previous winners such as Tim Vine, Rob Auton and Nick Helm. The comedian, who calls himself “General Punochet”, was previously named the UK’s “Pun Champion” after winning a tournament hosted by Lee Nelson at the Leicester Comedy Festival in February.